Dallas, Texas - September 15, 2017 –Puration, Inc. (USOTC: PURA) today announced shipping EVERx CBD Infused Sports Water To Drug Emporium. 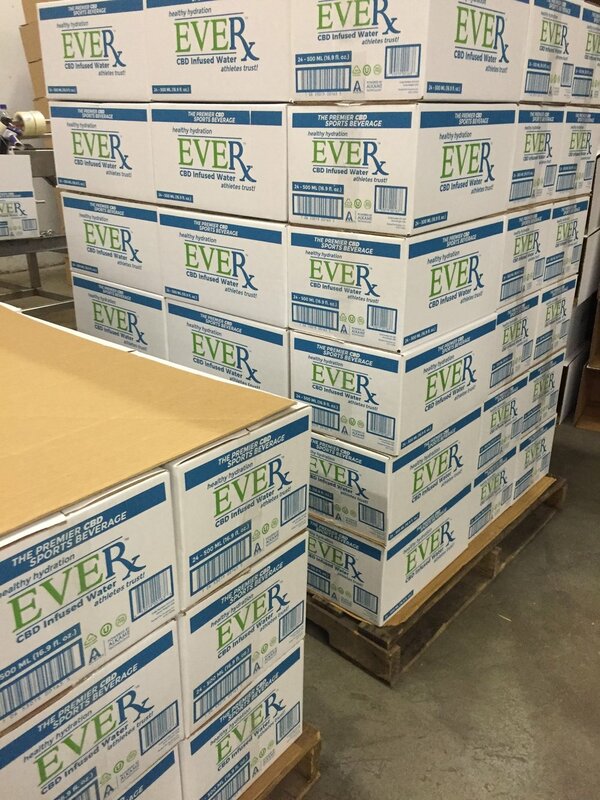 With EVERx CBD Infused Sports Water now exiting a second production run this year with co-packer and product formulation partner Alkame Holdings, Inc. (USOTC: ALKM), EVERx will soon be on Drug Emporium shelves. An essential component of EVERx CBD Infused Sports Water is ALKM's patented technology that alters the structure of water, producing a combination of characteristics that are unprecedented in the beverage industry. The ALKM technology breaks down the hydrogen bonds, reducing water's cluster size, providing a more efficient delivery system for the CBD in the EVERx CBD Infused Sports Water, and the ALKM technology includes an optimal alkaline pH level formulated with antioxidants and electrolytes so that the EVERx Alkaline Bottled water can deliver the most effective hydration available in the alkaline water market. EVERx CBD Infused Sports Water made its debut earlier this year at Arnold Schwarzenegger’s Annual Arnold Sports Festival featured through CityBlends’ display in the Europa Sports VIP Suite. This weekend Troy Suddarth, who led the EVERx team at the Arnold, is now working the Europa Sports VIP Suite making EVERx CBD Infused Sports Water known at Joe Weider’s Olympia Fitness and Performance Expo In Las Vegas. Troy is the founder of the Fit House Cafe, and American Fitness Wholesalers Midwest, and a long-time strategic partner of Puration. American Cannabis Conglomerated (“ACI) recently acquired the controlling shareholder interest in PURA and North American Cannabis Holdings, Inc. (USOTC: USMJ) with plans to acquire shareholder interests in additional cannabis industry entrepreneurial companies. ACI launched a new consolidated website for USMJ and PURA earlier this week. The new website includes important updates and details on organizational and strategic changes. The reorganization of operations under ACI is already underway. USMJ and PURA are already adopting new go-to-market strategies and additional operational and marketing changes are anticipated soon. The website includes information regarding recent, pending and anticipated strategic and operational changes.